Apps can be a wonderful tool for education. In the case of the ten apps outlined in this article, they all have the potential to make a positive impact on a child’s academic progress. They can help with letter and sound identification, reading fluency, writing skills and more. These iPad applications are great for pre-readers and new readers alike. Users can focus on letter sounds, sight words and writing skills in this application. Research indicates that this app can help children pick up skills quicker than they would if a teacher taught them. This is a great option for young children. This app is great for preschoolers, as it allows them to interact with the screen to learn more about animals, shapes, letters, and colors. Children also learn about patterns, as they are asked to figure out what comes next in a sequence. This platform does not cost any money to use and is geared for children in kindergarten, first and second grades. It assists them in reading, focusing on comprehension. It also allows users to track their performance, providing useful statistics on their progress over time. My Word Wall is an app that focuses on improving reading skills. Students are presented with a word or a letter, which they must see, hear, repeat and write. This process helps them to remember the word or letter for the next time. There are also additional educational activities, including games. This application is great for young readers that are just starting the educational journey. This is a great app that can help children identify their letters. They are asked to trace both lowercase and uppercase letters; doing so helps them remember what the letters are and how to write them. Story Patch is all about stories! Kids can come up with their own imaginative tales, which include pictures. There are lots of illustrations to access, as well as story themes and characters. Through the process of working on the stories, children pick up on essential writing and reading skills. This app does exactly what the title suggests; it helps young children learn to read. It is meant for children between the ages of 5 and 8 and focuses on sight words to help students get a jump on reading. James Goldsmith who wrote this piece on getting boys to read considers it a great app. This app provides a great way for young children to learn about phonics. It includes vowel sounds, memory words, and sound combinations, among other things. Users have the option to read a story on their own or have the device read it to them. If a child reads it on their own and comes across an unfamiliar word, they simply touch the word to receive assistance. This app helps children learn the alphabet. 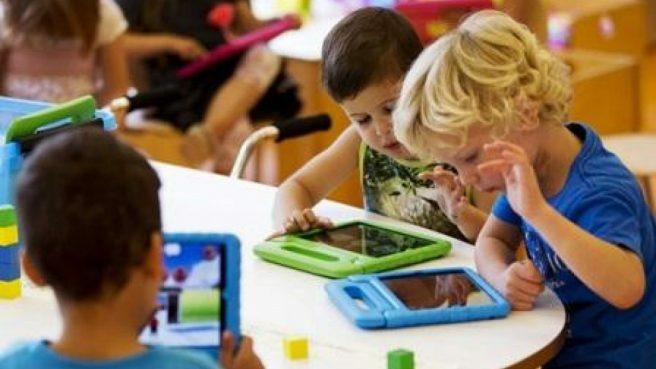 Using their eyes and ears, as well as interacting with the app through touch, even the youngest learners can pick up essential education skills. This iPad application is quite popular among teachers and other users as well. It helps children learn about phonics, sentence structure and writing.